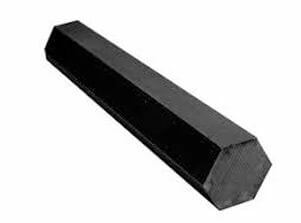 Hexagon Bars, Hexagonal Bar, Industrial Hex Bars Dealers, Hot–Finished Hex Bars Stockists, Hex Bright Bars Manufactures, Cold Drawn Hex Bars, Forged Hex Bars Exporters, Black Hex Bars Traders, Polished Hex Bars Suppliers in Mumbai India. 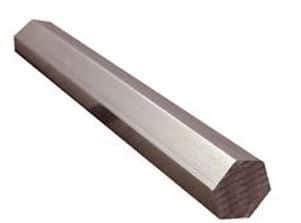 Carbon Steel Hex Bars, Monel Hex Bars Dealers, ASME SA479 Duplex Steel Hex Bars Distributors, Alloy Steel Hex Bars in Mumbai, ASME SA276 SS Hex Bar, ASTM A276 Austenitic Stainless Steel Hex Bars Stockholders in India. Renine Metalloys manufactures a wide range of Hex Bars, which offers a self-support and one-piece connection. As one of the most renowned name in this industry, we are involved in giving a quality assured range of these Stainless Steel Hex Bars. 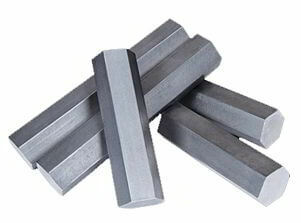 We are offering a wide gamut of Carbon Steel Hex Bars that are used in industries across the globe. Our offered Alloy Steel Hex Bars find their extensive applications in several industries such as in fertilizer and refineries industries. Our entire product range of Duplex Steel Hex Bars has soaring tensile potency and is hard-wearing in nature. The entire range of Super Duplex Steel Hex Bars is manufactured using premium quality raw material and advanced technology. 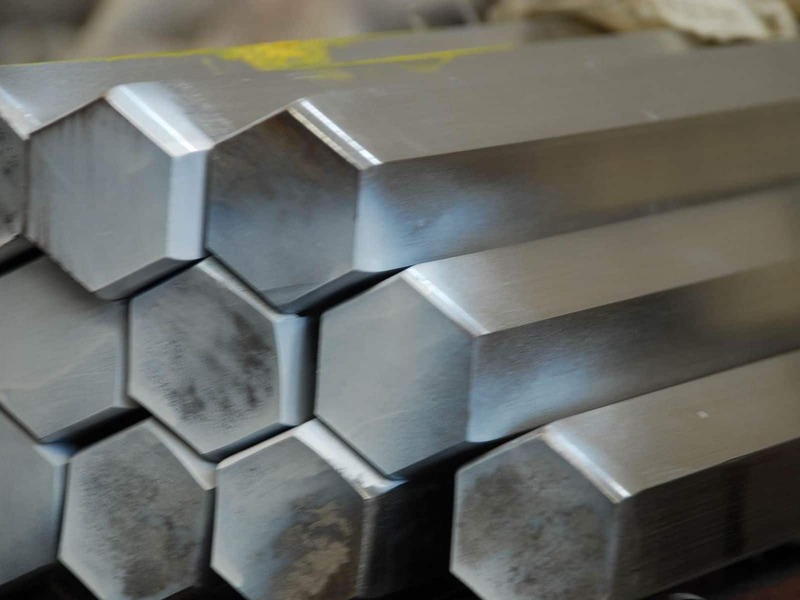 Inconel Alloy Hex Bars are manufactured in different grades of standard ranges and meets its terms through international and national standards. 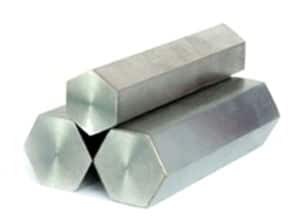 We also manufacture and supply these Monel Alloy Hex Bars to meet your personalized requirements in a variety of special alloy and stainless steel grades. 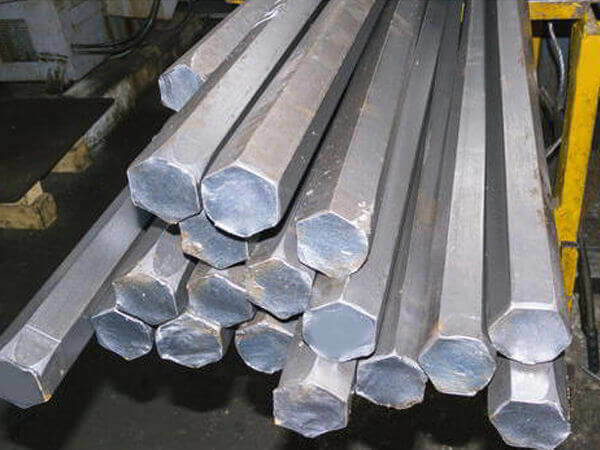 Circular design of Hastelloy Alloy Hex Bars let use of mechanical burning tools. Tantalum Alloy Hex Bars requires less weld material while reinstating 100 % pipe or header potency. \In addition, holes can be sliced down in the run after welding these Waspaloy Hex Bars to further minimize the distortion. 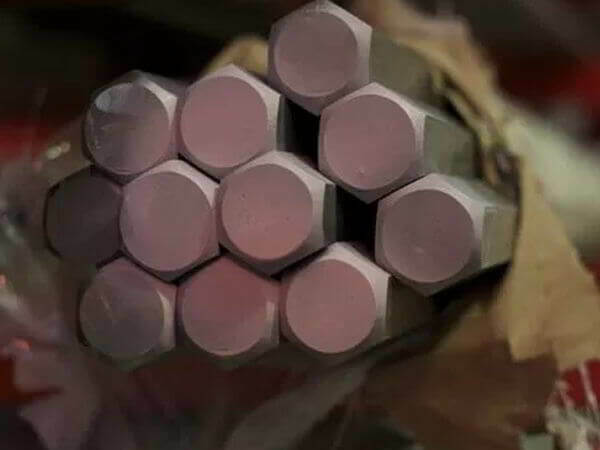 On the other hand, Alloy 20 Hex Bars has been manufactured in such a way by means of regard to trim down the pipe stresses and stress concentration features. 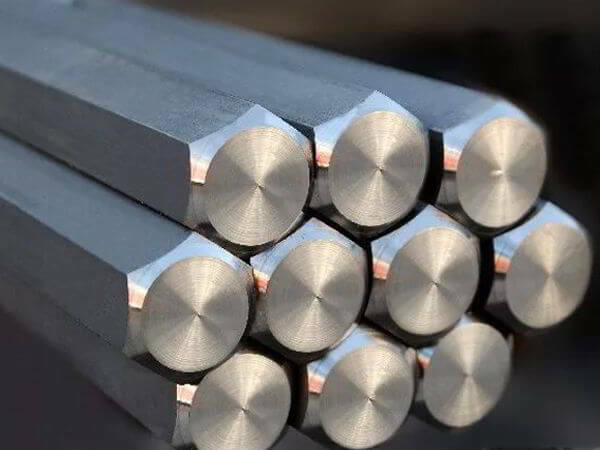 Hastelloy Hex Bar, Titanium Hex Bars Stockyards, Copper Nickel Hex Bars, Nickel Alloy Hex Bars Suppliers in Mumbai, Inconel Hex Bars, Annealed Hex Bars Traders, ASTM A479 Super Duplex Steel Cold Finish Hex Bar Exporters. Dimensions : ASTM, ASME, API. 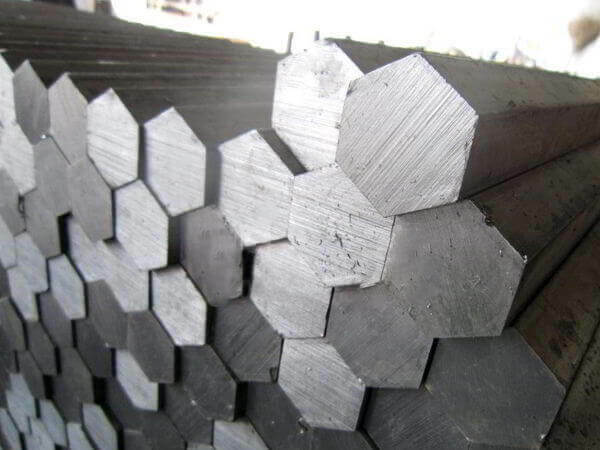 Carbon Steel Hex Bar : ASTM A105 / ASME SA105, ASTM A350 LF2, LTCS. 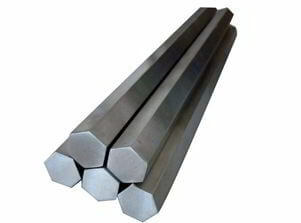 Stainless Steel Hex Bars, SS Hexagon Bars, ASTM A276 Steel Hexagonal Bars Traders, ASME SA276 Duplex Steel Hex Bar, Wrought Steel Hex Bars, ASTM A479 Super Duplex Steel hot finished Hex Bars, Nickel Alloy Cold Finished Hex Bars, Alloy Steel Cold Drawn Bars, Suppliers of Carbon Steel Black Hex Bars, Exporters of Inconel Forged Hex Bars, Tantalum Hex Bars Stockholders, Waspaloy Hex Bars Rods Stockists, Cheap SMO 254 Hex Bars, Mild Steel Hex Bar, High Performance Alloy Hex Bar, NITRONIC 50 Hex Bright Bars, NITRONIC 60 Hot Rolled Hex Bars Distributors in Maharashtra, Super Alloy Hex Bars, 15-5 PH Half Hex Rods, 17-4 PH Polished Hex Bars, High Speed Steel Hex Bar vendors, Buy Die Steel Hex Bar, Tool Steel Hex Bars, Alloy 20 Hex Bar, Monel 400 Hex Bars, Cupro Nickel Hex Bars, Aluminium Hex Bars Exporter, Special Alloy Hex Bars, High Temperature Alloy Hex Bar, Super Alloy Hex Bars, Nickel 200 Hex Bars, Nickel 201 Hex Bars, Monel K500 Hex Bars importers, Hastelloy C22 Hex Bar, Hastelloy C276 Hex Bar, Hastelloy C2000 Hex Bars, Hastelloy B Hex Bars, Inconel 600 Hex Bars, Inconel 601 Hex Bars, Inconel 617 Hex Bars, Inconel 625 Hex Bars Supplier in India, Inconel 718 Hex Bar, Copper Nickel Hex Bar, Inconel 725 Hex Bars, Inconel X-750 Hex Bars, Incoloy 800 Hex Bars, Incoloy 800H Hex Bars Stockholders, Incoloy 800HT Hex Bars, Incoloy 825 Hex Bars, Incoloy 925 Hex Bars, Commercially Pure Titanium Grade 2 Hex Bars, Titanium Gr.7 Hex Bars Exporters in Mumbai India. Ludhiana, Dallas, Ahvaz, Toronto, Australia, New Delhi, Ernakulam, Kolkata, Karachi, Petaling Jaya, Colombo, Manama, Indore, Sydney, Perth, Nagpur, Baroda, Visakhapatnam, Montreal, Al Jubail, Al Khobar, Granada, Mexico City, Calgary, Muscat, Kanpur, Madrid, Rajkot, Haryana, New York, Lagos, Port-of-Spain, Courbevoie, Pune, Bengaluru, Howrah, Dubai, Seoul, Geoje-si, Algiers, Cairo, Ho Chi Minh City, Bangkok, Atyrau, Gimhae-si, London, Turkey, Rio de Janeiro, Hyderabad, Jamshedpur, Hanoi, Bhopal, Secunderabad, Bogota, Aberdeen, Ranchi, Mumbai, Noida, Surat, Abu Dhabi, Chiyoda, Riyadh, Brisbane, Busan, Edmonton, Chennai, Santiago, Nashik, Doha, Thane, Jaipur, Singapore, Jakarta, Pimpri-Chinchwad, Faridabad, La Victoria, Gurgaon, Caracas, Navi Mumbai, Chandigarh, Vadodara, Lahore, Sharjah, Kuwait City, Houston, Jeddah, Kuala Lumpur, Milan, Tehran, Los Angeles, Hong Kong, Istanbul, Vung Tau, Moscow, Dammam, Ulsan, Coimbatore, Thiruvananthapuram, Ahmedabad. Oman, Gabon, Zimbabwe, cyprus, Tibet, Argentina, Namibia, Iran, Japan, Colombia, Netherlands, Finland, Ecuador, Saudi Arabia, Ukraine, Venezuela, Indonesia, Poland, United Kingdom, Norway, Mexico, Kuwait, Spain, Qatar, China, United Arab Emirates, Belgium, France, Algeria, Mexico, Belarus, Thailand, Singapore, Switzerland, Puerto Rico, brazil, Sri Lanka, Philippines, Bahrain, Australia, Nigeria, Russia, Yemen, Costa Rica, Germany, Azerbaijan, Czech Republic, Peru, Hungary, Mongolia, Nigeria, Ireland, Nepal, Iran, Taiwan, Lithuania, mexico, srilanka, thailand, malaysia, Gambia, Kenya, Chile, Sweden, Denmark, Kazakhstan, Italy, Portugal, Trinidad & Tobago,Tunisia, New Zealand, India, Israel, Malaysia, Morocco, Serbia, Hong Kong, Bolivia, Canada, Brazil, Croatia, South Africa, Egypt, Jordan, Macau, Slovakia, Libya, Greece, Vietnam, Bangladesh, Austria, Turkey, South Korea, Afghanistan, Poland, Estonia, Chile, Lebanon, Bhutan, Bulgaria, United States, Romania, Ghana.